Before getting involved to the PhD Program in the Department of Natural Resource Science, Diana completed her undergraduate studies in Biology and Ecology in Ecuador and her graduate work in Forest and Nature Conservation Policy in The Netherlands at Wageningen University. 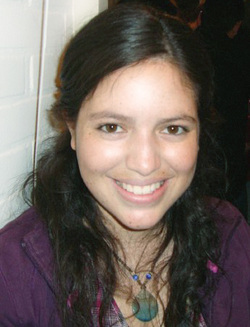 Her previous works comprise several consultancy jobs in Ecuador. This included an analysis of the rights of nature and their judicial enforcement for the Constitutional Court of Ecuador. She was responsible for the social assessment of ancestral ideologies that influenced the establishment of the rights of nature and analyzed its political and socio-cultural relevance for indigenous communities. Additionally, Diana was involved in studies related to eco-development in the Amazon region and community based conservation initiatives, local knowledge, ancestral traditions and watershed conservation in the Andes. Diana also was working as a researcher in Indonesia dealing with collective action and political empowerment of small-scale producers of furniture. She also taught environmental education to children and young people. _ Her current research applies Georgescu-Roegen’s concept of fund-service stock-flow relationships into the current mining activities in Ecuador. Her study is based on the premise that the depletion of stocks under a feasible technology directly affects the provision of services which are derived from funds. She considers mineral ore as stock and water-soil-biodiversity as associated funds to determine the biophysical boundaries to exploitation in order to ensure long term maintenance of funds. She conducts systems modeling to run different scenarios exploring extractive gold practices and their implications to funds and to neighboring communities. By providing a systematic approach based on stock-flow and fund-services scenarios, her study pretends to explore the implications of this activity for the promotion of local and national social capital. At the same time, her study aims to respond to the urgent need to review current institutional frameworks that manage non-renewable natural resources.